Club Penguin Cheats by Mimo777 Club Penguin Cheats by Mimo777: Happy77 Asks Screenhog About Coins! Since Coins for Change begins this week, Happy77 asked Screenhog a few questions about coins! Q: Can you tell us any game secrets so we can collect coins faster? 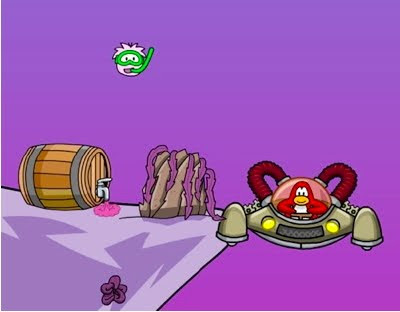 A: There are games where bringing a certain color puffle will help you! There's also the challenge of getting through Jet Pack Adventure without earning a single coin. There's a big reward if you can do it. Q: Any suggestions for penguins who want to do extra things to celebrate the season? Q: Are there other ways for penguins to celebrate Coins For Change? A: There are lots of things you and your friends and family can do to make a difference for other people around the world! Volunteering some time is a good place to start. Let us know your ideas. So, any cool things you are doing to help others? Be sure and let us know! im gnna donate 50.000 this year! YEAH ALL MY COINS! I AM GONNA WIN THIS CONTEST FAIR AND SQUARE!!!!!!!!!!!!!! Goodie. Cool coin tips! I can't wait! Penguins will donate THOUSANDS of coins because they cheated!Before may,you could cheat and get ONE MILLION COINS!But i didn't cheat-i followed the news and I was nice. He was speaking pig laitin! LOL! He was saying The Pin is in the Forest in Ig-Pay Atin-Lay (Pig Latin) I know how to speak Pig Latin! I've earned 12,000 coins this year simply by playing Puffle round up. You can easily get 1,000 coins in 9 rounds of the game. Don't spend money on puffles all the time, either. The only things we non-members can buy are backrounds and Puffles so save your money for Coins for Change and other stuff. I'm donating most of my money (60,000) to Coins for change and then going right back to saving for next year so I can donate 100,000!! It's not a contest, it's a fund-raiser. But it is great to donate. Helping others in many other countries is a great thing to do. I want to donate as many coins as possible! And for volunteer work out of CP, I spend time teaching young intercity children how to read and write and do math, and volunteering at humane societies, libraries, and daycares. I am planning on increasing my work by 25% around the holidays! Speaking of Aqua Grabber...I like it and all but anytime I play it, it glitches! The controls get mixed up. Its soooo anyoing. Anyone else have the same problem? I'm hosting a x-mas party! Be there or be square guys! Everyone's invited! PS Look for me at the party! I've got 127,000 coins! DONATION!!! All of them, Mimo! All 127,000 coins!!! for the cions for change i am going earn alot of cions and then donate all of them!! to night i am going to help bring toys for the needy!! i love the holidays! Mimo777 im a fire ninga, do you no how to get the water gem for my amulet??? Now I know that if you go up to level 5 on Jet pack wihtout collecting a coin you get loads! It is not a contest, you donate cause you care about the people who are in need. Puffle round up gives you alot of coins. Whats up with clowns and you mimo. Ha ha ha. I dont like clowns either. Yeah, in Ohio we have the Eastern Time Zone, and it's about 6:30 p.m. here...Night! Mimo probably knows that already. Have you heard of Club penguin pins? it is a new toy that is at our target. Haha! You earn this item in the next game which will mainly be Card Jitsu Water! I was just wondering, why do some people donate all their coins? Is it that Club Penguin translates the coins into real money and send it to poor countries? I'm not really sure because this is only my 2nd time for doing Coins for Change. Right now, it's not possible to get the water or snow gems yet. Right now the fire gem is all you can get. If you talk to sensei and click his coat, he will tell you a bit more about Snow and water. I'm gonna spend some much cash for each selection! this is the best christmas party eva!♪♪♪♪♪woot! I am in for your Beta Testing project. Can i be in Mimo for the project on your twitter thing? Reply Mimo only. What is this Beta project? I saw it on the side Twitter thingie Mimo has, but I have no clue what it is...What's up with that? I will help with your beta test project mimo. WOW that's alot of coins! I have over 100,000!!! I'll donate TONS of coins! OR maybe, they got all of those coins from playing games! I tried the 1 mil. coin cheat, and it warned me to watch what I do! You can't! Card-Jitsu Water isn't out yet, so wait until it is. Reading your comment just makes me want to be a better person! That's GREAT how you do SOOO much! I don't think you need to work ANYMORE! I don't want your helpful head to ASPLODE!! Pal, that's AWESOME! Keep it up! WOW that's a lot of coins! Good for you!!! I like when I see people doing good things! SOOOO many people doing GREAT deeds! That's awesome! I gave the homeless POUNDS of food! Haha! Doesn't it feel GREAT! Congrats on being a Fire ninja! To get the other 2 gems, your gunna have to wait until Card Jitsu Water and Snow come out (My guess, November 2010 and 2011) fire's the only one available now! Mimo777 im a fire ninga, do you no how to get the water gem for my amulet?? Cool, i donated around 3.000 coins not much.... But i will donate more this year its my goal! For helping other penguins around the world. Ps: What i just said dosen't mean go ahead and cheat. i tried the bonus on the jetpack thing and i did it but i didnt get it! Hey mimo what about the new toys? just saying theres some new toys Give credit to japjake2. Yeah you're right but someone else said that was it you? Sup c.p.peeps! im donating half of my coins! i have about 420,000 coins, so im donating around 210,000! lucky me! i have been working all year by surfing with the silver surfboard. P.S. Mimo777 ROX! PEACE OUT HOMIES! Hey people! Im Back! I haven't wrote for awhile, but now im back. I don't have a lot of money, but about a day before the Coins for Change, I go to the game at the iceburg (the name exapse me) and I play the Crystal one about four times and I have about 10,000 dollars. But the first thing I want to do is something that you guys could help me on. I'm looking for carities (their names) to help people around the world. When I do, I hopfuling will be outside stores to collect money for the carities. Hope you could help me on that. Thanks! WOW! That is amazing! Awesome job. I want to help out in a different way though. I want to find a carity, collect money outside like stores or something, and help out. I know about all the people that need help, and you are one of the poeple that are making a difference already. Great job. You inspire me. Keep it up! Wow! You are one of many people making a diffenence. I just have to say one thing... That is a lot of coins that is going to make a big difference. Thank you. i dont have a camp pete account. Flames Pwn, I just found your question and i am answering after i let you know that i found it. hey fluffy good any good tips for becomeing a mod.I know the rules but i want tips cause I have been trying to get to be a cpg mod for like 5 or 6 weeks straight and nothing is getting mimos attention.And as you can see i have posted plenty and in the past.Any tips or anything that im doing wrong? First of all: you do NOT have to put Cpg Mod in training, it is kinda pointless. Just put CPG MOD. Second: do not put CPG MOD next to your name UNLESS you are answering a question. I am sorry that i did not notice your question earlier. Kiba, Its NOT a contest every penguin is working together if someone wants it to be a contest tell them that you guys should just work together. What game does the green and white puffle go to.